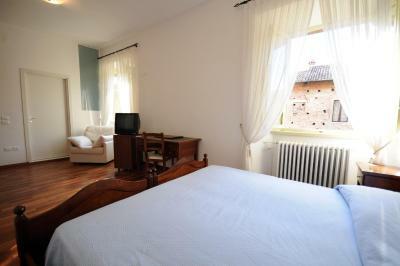 Lock in a great price for Guest House Domus Urbino – rated 8.5 by recent guests! Fantastic location opposite the palace and still fairly quiet. Big, spacious rooms with character - I had 3 beds despite booking a single room. The room was very clean too, provided with everything you need. 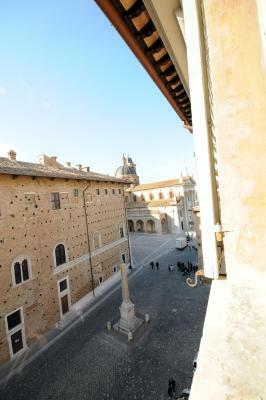 Located right in front of the main Urbino attraction, the Palazzo Ducale. For a very reasonable and relatively cheaper price, you get a spacious room with a double (=king size) bed, your own bathroom with several towels, basic soap/shampoo, a large closet, a small fridge, and a desk and chair. WIFI was strong. Decor is spartan, with a religious flavor owing to it being a former convent. There was a €11 option for a generous breakfast buffet. Easy to find and centrally located right across from the Palace. The staff was excellent and the room was comfortable. Great value for the money and would stay here again. It was really comfortable. Location couldn't have been better. The staff was friendly and helpful. 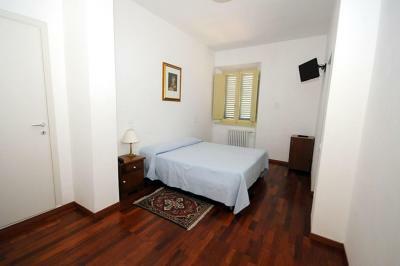 Spacious room and bathroom, optimal location, in the heart of the centro storico. 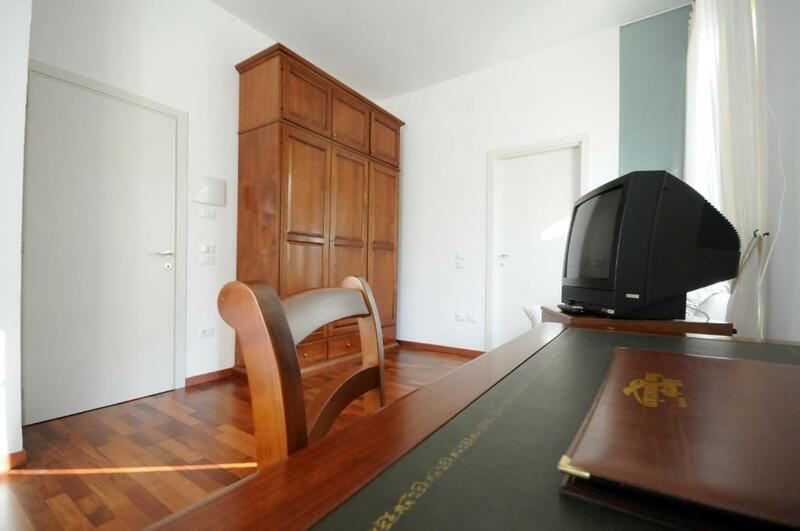 Very comfortable and well appointed, and the location is amazing - right opposite the Palazzo Ducale in the historic centre of the town. The Guest House is the more 'affordable' side of the hotel, but still much higher quality than a standard hostel. Also, I was cycling through the region, and in spite of this being a nice hotel, the staff happliy offered to let me keep my bike in my spacious room, which is always a gold star in my book! 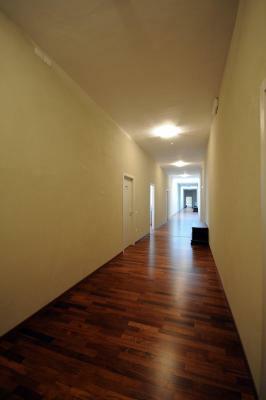 A beautiful large room, centrally located. A great place. 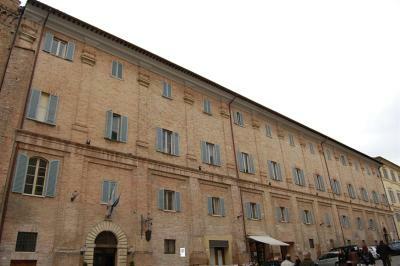 The convent was right in the centre of centro storico with easy access to secure parking in their courtyard. 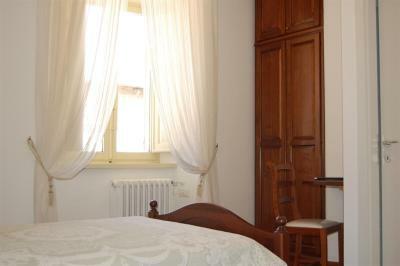 Guest House Domus Urbino is located in Urbino, a few steps from Duomo, and has free WiFi. The property provides a 24-hour front desk. At the guesthouse, every room is equipped with a desk. All rooms include a private bathroom with a bidet. 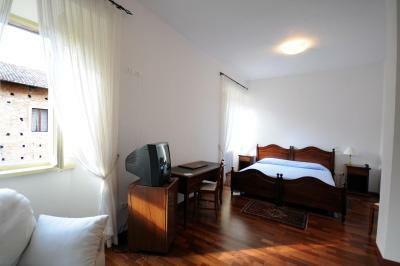 At Guest House Domus Urbino each room is equipped with a closet and a TV. 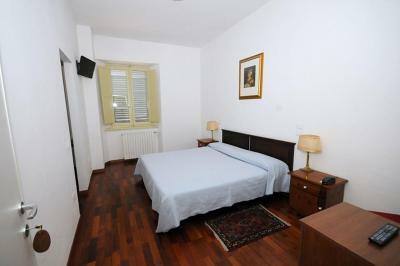 The nearest airport is Federico Fellini Airport, 35 miles from the accommodation. 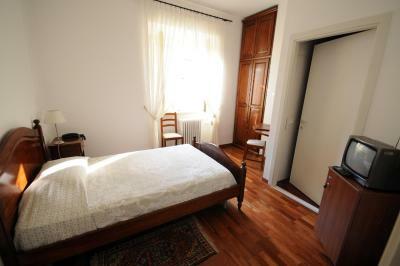 When would you like to stay at Guest House Domus Urbino? House Rules Guest House Domus Urbino takes special requests – add in the next step! 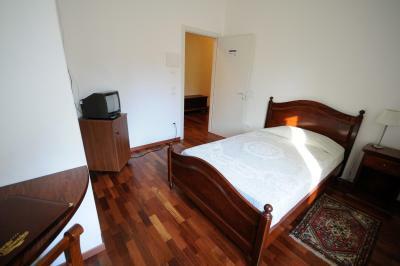 All children under 12 years are charged EUR 21.50 per night for extra beds. 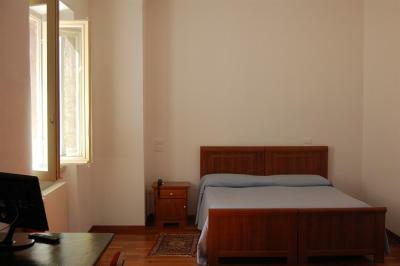 Any additional older children or adults are charged EUR 34.50 per night for extra beds. 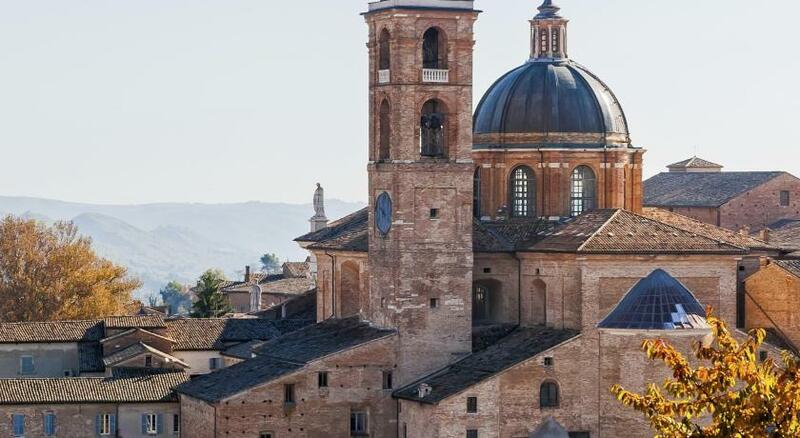 Guest House Domus Urbino accepts these cards and reserves the right to temporarily hold an amount prior to arrival. decor, location, parking (even though it was expensive). Water in the mini fridge in the room had to be paid for. A great location in a great little city. Amazing stay at this hotel in the most perfect location! I liked everything, particularly the very helpful, pleasant woman on Reception. She was exceptional! Also there was a procession of the town’s patron saint outside the hotel...so interesting to see. Sunny courtyard with tables and seating off the main reception area. Wifi in reception area but not in room. 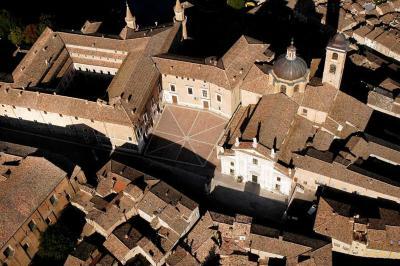 It was unclear that Domus Urbino is essentially the same as the Albergo San Domenico. There’s a separate door marked Domus Urbino, and you wait and figure out how to get in. I had to go into the next door marked Albergo San Domenico to ask if it was the same as Domus Urbino, and the answer was yes. They should have a sign to indicate this. I noticed several tourists had the same problem the next day. The location is not very clear signalised. 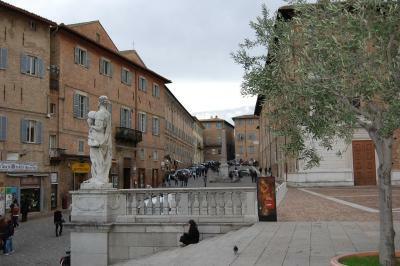 Just in the heart of the city, near Palazzo. The room was big and very clean. There are many coffee shops around where you can have breakfast at good price.